Bright, Gold round-beaded bracelet. Lightweight, SO COMFORTABLE! 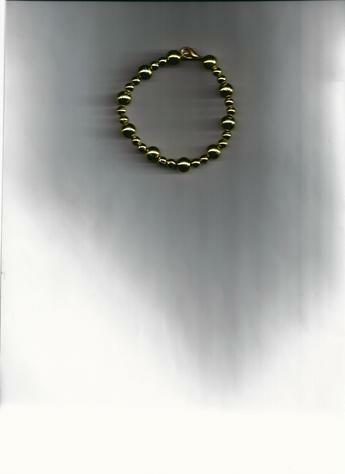 This beautifully bright (faux) Gold, round-beaded 6-inch gold-plated wire bracelet has a gold-plated, easy-to-use clasp. A beautiful addition to your fashion jewelry collection! Beautifully Stunning (faux) Gold Necklace & Bracelet SET.